"Is there a good basic iphone powerpoint viewer app? I want to be able to upload powerpoints and study powerpoints from my iphone. Is there a good basic powerpoint viewer for iphone that I can use to view powerpoint on ihone? Thanks! Nowadays, with some extra plugins or 3rd-party software, iPhone could help you do most things that you used to do with your computer. It’s very simple to view PowerPoint on iPhone with help of some PowerPoint app for iPhone or PowerPoint to iPhone converter apps. This guide would introduce you different ways on how to view PowerPoint on iPhone. Microsoft actually has developed and released its own PowerPoint app for iPhone, called Micorosft PowerPoint for iPhone and iPad. The Microsoft PowerPoint app for iPhone and iPad allows iPhone owners to view PowerPoint on iPhone for free. However, if you want to create and edit PowerPoint presentations, you could only try it in a 30-day free trial period. After the free trial, you need a qualifying Office 365 subscription to do these. On your computer, open your web browser and go to your OneDrive, Dropbox, or Office 365 team site. Upload your PowerPoint file to OneDrive, Dropbox or Office 365. On your iPhone, tap Account button on this PowerPoint for iPhone app, tap the service you saved the file to, and find the file. On your computer, open your web browser and go to your mail box to write an email. Upload PowerPoint file as attachment. Save the email into Draft box. On your iPhone, open the Mail app and find the email with the attachment in Draft box. You’ll find attachments at the bottom of the email message. You may have to tap the attachment once to download it. Tap and hold the attachment until a menu appears. Find the Open in… icon on the menu and tap to open your file in Word, Excel, or PowerPoint. Launch PowerPoint for iPhone, tap "Open > Add a place", and then make sure to sign in with the email address and password you use for Dropbox/OneDrive/Office 365/email. Go to the file and tap to open it. For detailed steps and more help about PowerPoint for iPhone, please check PowerPoint for iPhone Help. Documents To Go 3.0 Main App. Open your PowerPoint file on your computer. Click the File button on the top left of the windown. Navigate to "Export > Create PDF/XPS file" option. Click the "Create PDF/XPS file" option. On the popup window, give output PDF file a name in "File Name" and choose PDF as output file type in "Save as type" box. Choose a folder as output directory to save the output PDF file. Hit the "Publish" button to start converting PowerPoint to PDF file. Locate the PDF file that you want and then open up iTunes. Drag and drop this folder into the ‘books’ library. Plug in your iPhone or iPad. Select it from the list and check that it is set to sync books. After transfering PDF file to iPhone, you could then open it on your iBooks app on iPhone. It’s free, but it’s not convenient to read PDF file. You have to admit that though iPhone attached iBooks could read the generated PDF, the small display makes it difficult to read the PDF file. You have to drag PDF to fit the screen frequently. 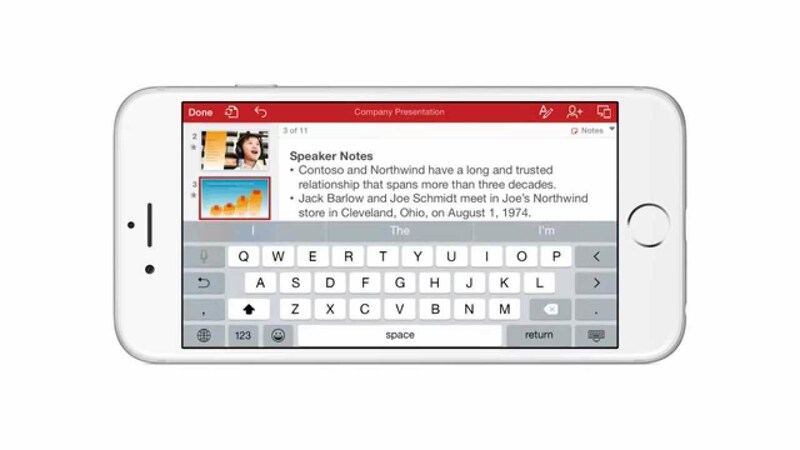 Of course, iPhone users can also convert PowerPoint to iPhone-compatible videos to view PowerPoint on iPhone. 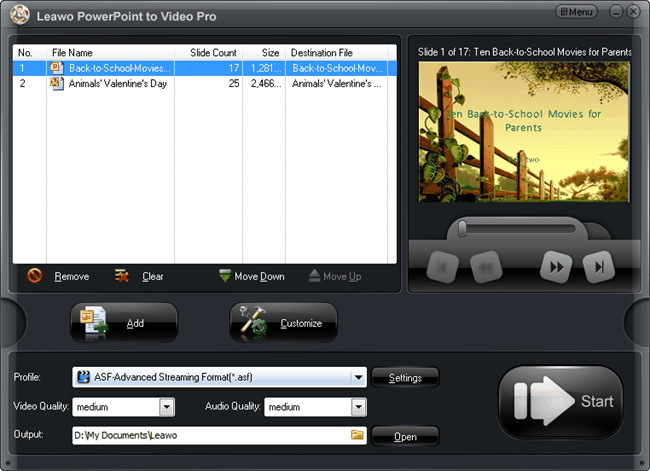 People could choose to convert PowerPoint for iPhone to MP4 or MOV videos for viewing PowerPoint on iPhone with ease. Leawo PowerPoint to Video Pro is highly recommended to convert PowerPoint for iPhone. The PowerPoint to iPhone converter software fully supports to convert PowerPoint to more than 150 kinds of different video and audio files with no quality losses. 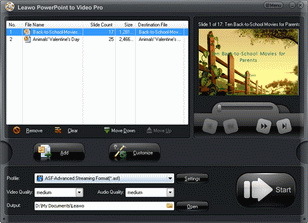 It could convert PowerPoint to MP4 or MOV for iPhone so as to let you play PowerPoint on iPhone without any difficulty. Download and install this PowerPoint to Video Pro on your computer via the above link, and follow the below guide to learn how to convert PowerPoint to iPhone video. 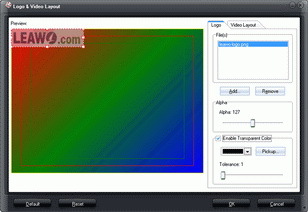 Run Leawo PowerPoint to Video Pro on your computer. Click the "Add" button to add PowerPoint presentations into the PowerPoint converter. After loading, you could play back loaded PowerPoint presentations. Click "Profile" at the bottom of the window, and choose the iPhone compatible MP4/MOV files as exported video, or directly choose one from the "iPhone" group. Then click "Output" box on the main interface to choose a folder on your computer to save the converted video. 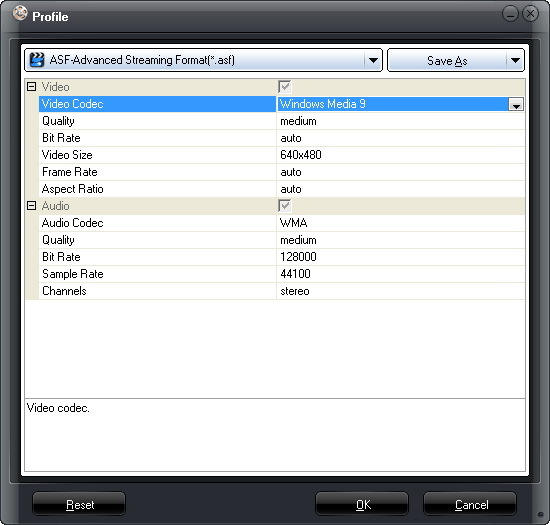 If you need, you could click the "Settings" button to adjust video codec, bit rate, video size, aspect ratio, frame rate, audio codec, channel, etc. You could edit PowerPoint files by clicking "Customize" button on the main interface: set PPT transition time, add PPT background music, adjust audio effect, change aspect ratio, apply watermark, etc. Finally, click the "Convert" button at the right bottom to start converting PowerPoint to iPhone video file. Plug iPhone into computer via the USB cable. iTunes will launch automatically, if not, manually start it on your computer. 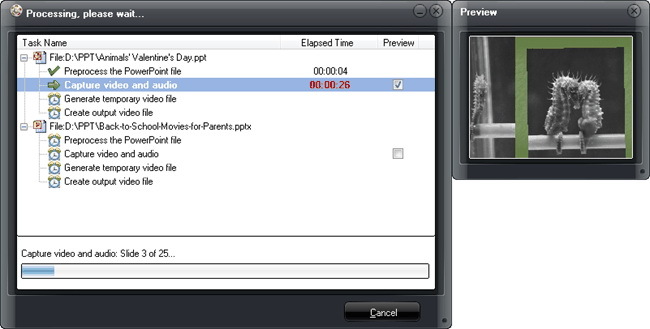 Click “File > Add Files to Library” at the upper left corner of the window. 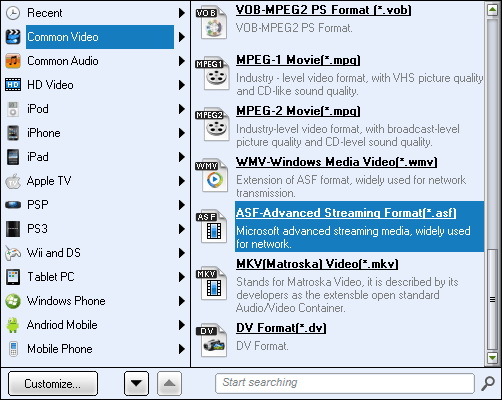 Then select the video files on your computer and add them to the library. Click the iPhone icon in iTunes and choose Movies Library in the left sidebar. Then check Sync Movies and click Apply. iTunes will then sync movies to your iPhone. Note: When iTunes is transfering videos from iTunes Library to iPhone, it will only sync the selected videos in the library, that is to say, iTunes will erase all the unselected items. If you have non-purchased videos which aren’t saved in iTunes library, you will lose them permanently. You could refer to a better iTunes alternative – iTransfer to transfer PowerPoint video to iPhone from your computer.